Energy is one of the main ingredients for a developed society and is to be used by all segments of the society. It is the life-blood of daily life. Without it factories would grind to a halt, computers would not operate and our homes would be without heat and light. To understand energy we need to know the source and limitations. To put a new energy policy in place it is essential to understand the characteristics of supply versus demand for the future. We should know the quantities of energy available from the various sources, the permanency and the continuity. Answers to these questions are not easy because they depend on the future ability and technology to extract the various sources of energy supplies, energy prices and the quantities to be consumed. Fossil fuels (extracted from underground) such as coal, oil and natural gas, that supply up to 90% of the energy used today. Because these sources of energy are not sustainable and are being rapidly depleted, in addition to its related pollution and the fight against global warming, the world is vigorously looking for alternative sources of energy. Hydro-Electric, from water falls, dams or water regulators and other mechanical devices. Solar Energy, using photo-voltaic solar panels to convert heat from the sun directly into electricity. Geothermal Energy, using ground heat and under-ground hot water springs to generate electricity. Biomass or Biofuel or Ethanol, using animal waste, or agricultural products and waste. Nuclear Energy, Produced from the process of nuclear fission. Hydrogen Gas, which is expected to be the energy source of the future, since it is being generated from water and the abundant supplies of water. Renewable Energy, including wind energy, solar energy, water energy, geothermal energy and naturally occurring material. (These are considered to be sustainable energy supplies as they can not be depleted). It is believed that conventional energy sources (oil, gas and coal) will not diminish in the first half of this century, since underground reserves are sufficient to meet world demand for the next several decades. If these recoverable reserves were depleted then we could turn to the non-conventional, renewable energy sources. Additionally, it must be stated that world coal reserves are abundant, but coal is the most polluting conventional energy source and environmental consideration may limit the use of coal as an energy source in the future. However, efforts had been and are being made to achieve clean-coal technology, including coal gasification. And if this proves to be economically viable, then coal may prove to be the fossil fuel for the long term future. The ever increasing demand for oil, together with the associated increase in its price, and the realization that oil was a significant source of environmental pollution, obliged the world to think about new alternative sources of energy. Since the beginning of the 20th Century the use of water energy which improves the construction of dams had flourished where several countries all over the world are building dams to produce their electricity. Dams have been popular where necessary water resources are readily available and because they are easy to control, they produce minimum pollution, as well as its low electricity production cost. Limitations on the availability of energy from dams made professionals think about other sources of energy supply. In North America, Europe and China nuclear energy became a new source of electricity generation becoming a competitor to oil fired electricity generation. However, hydro-electric generation still represents a main source of electricity supply that satisfies 18% of the world`s electricity demand in the year 2002. Hydro-electric generation plants are considered a very important source of energy for the long term future, and this is a sustainable source of energy. It is expected to be a growing source of energy, with a faster growth in the upcoming years. 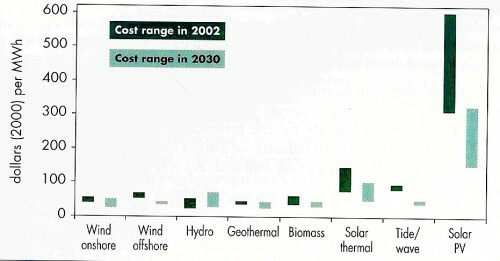 Serious interest in renewable energy sources started in the year 2003, following increases in the price of oil. In the industrialized countries, energy from renewable sources reached 6% of the whole energy market. It is expected that in Europe this will reach more than 8% by 2010. Middle East Countries, Iraq in particular, looked to use solar energy, but this is still of a very limited use at the present time, because of slow technical development. In addition, its use has been limited in the Arab world from warming water in some countries, like Jordan, to generating electricity via photo-voltaic cells in others. The consequence of supplying energy from geothermal sources and the use of liquefied petroleum gas (LPG) in most of the Arab countries have limited the economic development of Solar Energy in the region. Many attempts have been made to build electricity generation stations working on solar energy using clusters of mirrors. However, this process is in the early stage of technical development and remains economically suspect in the Arab countries, at least for the time being. Since the Arab countries are rich in oil and gas resources, the use of solar energy source is not considered serious candidate in the near future, probably until the year 2020. Energy from geothermal, ocean and biofuel sources is also limited for the foreseeable future, due to restrictions on agricultural development and the lack of available water sources in the Arab countries. Some Arab countries like (Egypt, Morocco, Syria and Jordan) started using wind energy commercially. Wind energy farms are built in Egypt, Syria and also in Morocco. The price of producing electricity from wind energy is commercially competitive with the price of electricity produced from geothermal and nuclear sources. The opportunity to produce wind energy in the Arab world will not be significant in the near future, due to the availability of natural gas in most of the Arab countries, and in big quantities, with a low discovery and development costs. This made electricity generation from natural gas a much cheaper option, especially when compared to wind energy sources, which suffer from intermittent service and few other negative effects, such as the availability of appropriate large land areas. That is why wind energy, in spite of its increasing popularity in the world, still have limited market penetration in the Arab countries. Many European countries, especially those who are members of the EU, have taken some actions to reduce carbon emissions from large combustion plants through taxes, which prompted the introduction of a carbon trading system. Energy and cost of oil taxes. All of the evidence indicates that other forms of renewable energy will not have a great role to play in the future of energy supplies over the near term because of the availability of big quantities of geothermal energy, which can meet the demands of the world in this century. The difficulties that arise with renewable energy technology is its limited availability and the high cost of development. There is some utilization of renewable energy like in the supply of electricity to rural and / or poor areas in remote locations. The cost of generating electricity from renewable energy sources is being continuously reduced, but the problem is that some sources of renewable energy, such as wind energy, cannot be supplied on a continuous basis, due to the very nature of nature. All of the sources of renewable energy (water energy, solar energy, wind energy, biofuel energy and geothermal energy) make a big contribution to world energy needs. Water and biofuel energy contribute about 15.2% of world energy demands. Producing electricity from water energy was about 3000 terawatt per hour in the year 2003. This is less than electricity produced from nuclear energy. This is equal to about 250 MW out of oil in a year, which supplies about 640-680 MW. In theory, the ability to produce energy from water internationally is about 14000 terawatt a year, which is equal to the electricity produced in the world now. The use of water as a renewable energy source is continually developing as it is one of the most important energy sources, because it is clean, has low operation costs and 100% availability (availability of geothermal and nuclear energy is about 33% only). In the next few years it is expected that the development of water energy sources will grow faster internationally. Other renewable energy resources, except for water energy, include biomass. The traditional sources of biomass include timber as a fuel, plus animal waste, plus agricultural and forest surplus. Due to the limited accurate data being available, it has made it difficult to estimate the share that this source of energy has versus all sources of energy for the international market. But it estimated that the world consumed about 110-1250 MW per year out of biomass at the end of the 20th century. A third of this was from timber and the rest was from animal and agricultural products and waste. Most of this production is constant and continuous. There is a big gap in the market to promote the use of this energy source in the future, which is too low these days. There is no expectation that biomass will be a major energy source to supply the world with power in the future, but it will stay as a main source for power in the under-developed, poor countries. The wide need for power in these countries will push for the gradual change from biomass to commercial power in many of these countries with limited income. Biomass technology and its application are developing quickly now. We can change with the direct burning, fermentation and other technologies to use biomass energy as a continuous source of energy for the future. Wind energy supplies can also grow quickly. Wind energy and its role in producing electricity is growing quickly on a world scale, at the rate of 13% a year, but this is from a very humble base historically. Wind energy provided less than 65 Terawatt in the year 2005, so the participation in the use of wind for energy generation is still limited. For the future, we expect wind energy will reach 930 Terawatt in 2030, which will be 3% of the total electricity production at that time. The planned annual investments for developing wind energy are 7 billion USD, most of which will be in Germany. Germany has wind energy farms with 1700 MW of generating capacity, which means that 4% of German electricity is produced from wind now. The aim is to situate the new electricity wind stations in the waters off-shore because of the nature of the winds there and to avoid sound pollution. However, the cost of offshore wind generation is high which has a negative impact on the wind energy economics. Taking care of energy issues began seriously after the oil price correction at the end of 2003. However, security supply of energy resources was the subject of great debate and research during the nineteen eighties, especially in the USA. But this situation has retreated since the nineties. The European countries began to consider technology achieving more than their historical concentration on pure research. The OECD, the European countries, production of renewable energy such as; electricity, heat, etc, is 2500THW which is 6% of total energy, with half of this energy being produced by water energy. The progress of the European Union countries was clear by limiting these countries aims, with the reduction of CO2 emissions being the main focus, which resulted in renewable energy being the most important focus for new energy supplies. The EU has targeted 22% of the electricity consumed to be produced from renewable energy sources and 5.75% of the fuel to be consumed in cars to be from biofuels, all by the year 2010. These are ambitious goals which will be difficult to be fulfilled. The European ways to achieve these goals are two: The support system and the quota system. Britain, Poland and Belgium put the second into action, which forced the electricity establishments to share their sales of renewable energy resources with the people so that the people can decide how they want their electricity to be generated and pay the appropriate price. While Germany and other states work on a price support system, which makes people invest with them. The renewable energy industry in Germany employs more than 150 thousand workers, but its success depends on economic support. In Spite of the whole European effort the goals aren`t fulfilled yet. Renewable energy supplies will never be more than 8% of total energy in the year 2010. The shortfall will be more than 12%. The investment costs of renewable energy are different from one technology to another. It is less for wind energy ($1000 per K.V.). Photo voltaic solar energy is more, at $5000 for one K.V. These costs are too high when we compare them with the economical investment to produce electricity from conventional energy sources. For example, producing electricity by gas turbine with single rotation (costs about $350 a KW). By gas turbine with twin rotation and big capacity, (costs about $550 a KW). And the cost of a conventional coal fired station is not over $1200 a KW. Naturally the costs of operating renewable energy facilities are very cheap, since there are no fuel purchase cost, but are still expensive when compared to the operating costs of electricity being produced from conventional energy sources. In addition, renewable energy suffers from intermittent electricity production. The cost of producing electricity from wind (low cost of renewable energy is about 4-5 cent a KW per hour, but it is not over 3 cent per BTU). Whereas the cost of producing electricity from solar energy is very expensive at about 30 cents a KW per hour. That is why the use of solar energy is very limited. Solar energy has limited use, but it is very important as an energy source to supply electricity to poor, under-developed and isolated areas, such as in Africa and South Asia. Solar cell technology is used to produce electricity to a cottage in a rural area to fulfill basic necessities. A solar cell with the ability to produce 50WT could supply a cottage or house in a village to fulfill basic requirements, like lighting (but some time to operate a small TV or refrigerator). Using solar energy to satisfy large scale electricity requirements is not practical or economical, but is a good way to supply electricity in a rural or small area in limited income countries or on a special case-by-case basis. The two drawings below are intended to explain the costs of investments in and production of renewable energy with the different technologies, as it is now and as it will be in the year 2030. It explains the anticipated decrease of costs in the next 25 years. With all this reduction of costs, renewable energy still suffers from high costs and discontinuous production that will limit its ability to contribute any meaningful share to the total energy mix in the near term. In the year 2005 consumption of Energy in the world was about 11500 million ton equivalent of oil (MTEO), 9120 MTEO of geothermal energy, 630 MTEO of nuclear energy, 640 MTEO of water energy and more than 1110 MTEO of noncommercial energy, most of it from biomass. Look at Table No 1, which shows the huge sources available in geothermal and nuclear energy which is enough for the world energy requirement for the next decades. Approximate and total consumption of energy at the beginning of this century divided as in table (2), which shows that geothermal can take 80% of the international energy sources. Share of each source of energy to meet international demand at the beginning of current century. Hydro-electric energy is the generation of electricity from the natural flow of water, and in overall terms is a very energy efficient process. The purpose of building any dam is to contain the water source and to control its flow. Dams are normally constructed in a valley-like formations to create a lake. Tunnels are formed in the lower sections of the dam wall in which turbines are mounted. The natural flow of water through the tunnels causes the turbines to rotate and thus generate electricity. Iraq took an interest in hydro energy as an active source to produce electricity since the nineteen fifties. Iraq now owns five big dam hydro-electric generation stations. 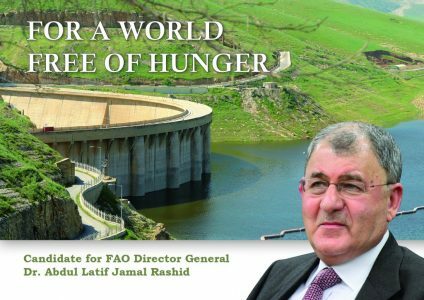 The first project in this field was the Dokan Dam, Darbandikhan in the Sulaimaniya province. The first dam was built on the Lower Zab (a branch of the Tigris). It is about 360 m long and 116.5 m high. It has a water storage capacity of 6.8 billion m3 and a power generating capacity of 400 MW. 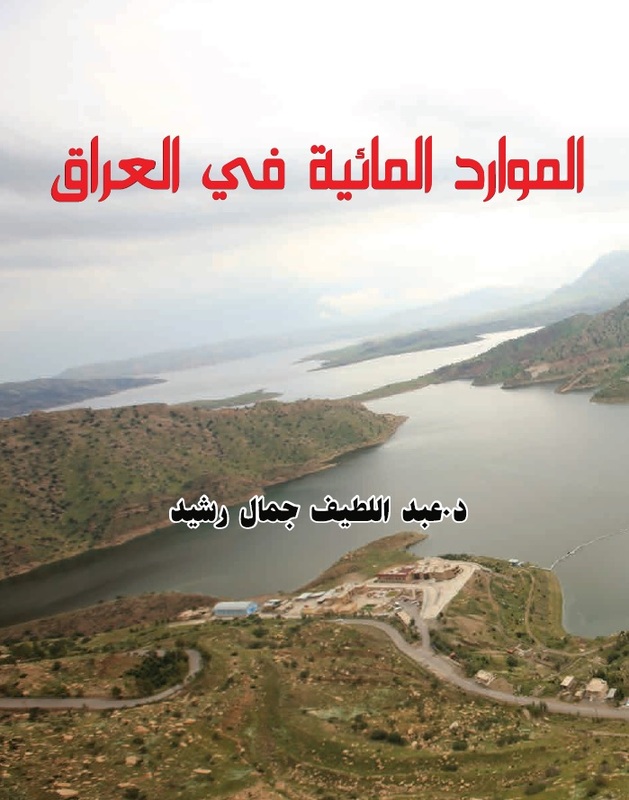 The second dam was built on the Diyala River and is 44 m long and 128m high. It is able to store 3 billion m3 of water and has 240 MW designed capacity. In Ninawa province, there is the biggest dam in terms of storing water and generating electricity. Al-Mosul Dam is on the river Tigris. It is about 3650 m long and 113m high. It is able to store 11.11 billion m3 and its design capacity is about 750 MW. Hemrin Dam in Diyala province is on the Diyala River. It is 3360 m long and the highest point of the dam is 53 m high. It is able to store about 2.04 billion m3 of water and has a 50 MW design capacity. In the west of Iraq, to use the Euphrates River water, Al-Haditha Dam was built on Al-Anbar River. It is 8923 m long and 57 m high with water capacity of 8.28 m3. The designed capacity is 660 MW. There are also three other small hydro stations built. Al-Samara Dam, with a designed capacity of 75 MW, Al-Hindiya Dam, with a designed capacity of 15 MW and Al-Kufa Dam, which is the smallest, with capacity of 5 MW. Economic calculation of these projects could show the production of hydro-electric energy compared with the rate of total electricity energy. Accordingly, we can estimate the importance of these projects. Also, we can calculate their income in forms of production cost per unit of electricity, versus the sale price for electricity, by multiplying this by the number of units produced. Accordingly we can estimate the amount of money the government earned from the development of these alternative energy projects. There are many factors that affect the production of hydro-electric energy and makes it difficult to produce continually, especially in the current situation in Iraq. The quantity of water, in the lakes upstream of the dams, affects the produced energy. If the level of water drops in these dams, the produced energy will be less and vise versa. This is why the produced energy is not stable every year. The security situation in Iraq also has a big impact on the production of enough energy. If an electricity transmission line is knocked out the electricity can not be transmitted properly, and the produced electricity will be less, despite the availability of electricity from the dams. 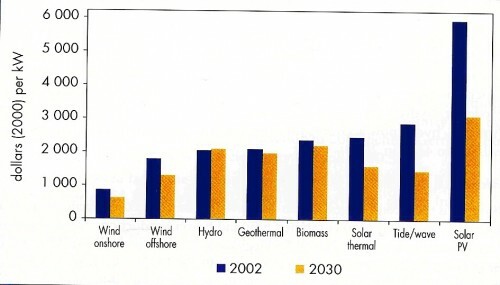 As it is shown in the diagram, the hydro-electric power generated was decreasing dramatically in 1999, when compared to 1998. This decrease continued for the next three years to 2001, due to the decrease in the levels of water stored behind the dams, which Iraq had suffered at that time. 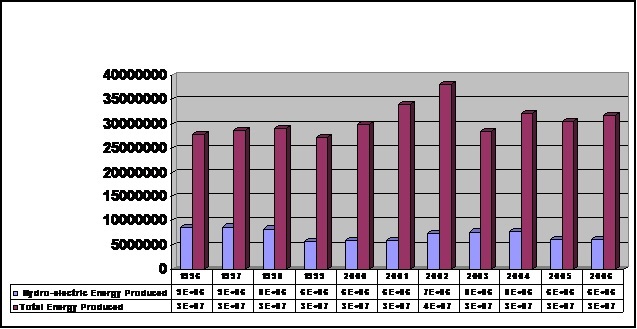 Although power production improved for the period of 2002-2004, the water levels in the dams went down again in the year 2005, and thereafter, in addition to the sabotage activities which caused much harm to the electricity supply network that prevented the power from finding its way to the consumer, which resulted in a decrease in the total power generated. The value of the generated power can be calculated by multiplying the annual units of production by the cost per unit, as explained in table No 3. Dokan and Darbandikhan Dams, both currently producing 330 MW/ hour, which is half of their design capacity. This can be taken as an example to form an idea on the power generated by these two dams. By making a simple calculation of their production (they are up to 47 years old) assuming that their production was consistent at the level of 330 MW over the years. We will reach an approximate number of production units of 13.586.700 MW of power that both dams generated. Assuming that the production cost is of the year 2006 cost of production, then the total value for this power is 600 million US dollars, bear in mind that these two dams are not the largest dams in Iraq. Then, we can reach another conclusion, which is the low cost of production of hydro-electricity, when compared to other means of electricity production in Iraq. We will find the low cost of producing electricity is in the northern directorates of Iraq, which generate its electricity from hydro-electric power stations. These stations work to produce the electrical power to meet the needs on a continuous basis. The steam stations contribute the largest part of produced power, while the gas stations come into the third place as their production depends on the availability of water resources. The percentage of hydro-electric power produced in Iraq versus the total power production is large. It varies from (30.8%) to (17.5%) for the period of the year1996-2006. As we explained before, the hydro-electric energy generated decreased from (28.5%) in the year 1998 to (20.8%) in the year 1999, down to (20.1%) in the year 2000, and finally to (17.1%) in the year 2001. These percentages started to recover and move upward again in the year2002 when it reached (19.5%). In the year 2003, the hydro-electric energy generated increased again, due to the fact that the hydro-electric stations do not need fuel to operate as is the case with the other power stations that suffered from fuel supply problems. This also caused the decrease in the total electricity produced. Additionally, Iraq electric shortages were a result of low levels of water and security circumstances. That are linked to electricity supplying lines. The hydro-electric power production reached (24%), (20%) and (19%) during the last three years, as shown in table No 4. Nonetheless, Iraq leads most Arab countries in the share of hydro-electric power to the overall power production. Hydro-electric power comprises a very limited source of power in the Arab countries, due to the limited numbers of water supplies and rivers in these countries. The hydro-electric energy produced in the Arab countries was estimated of 28000 MW in the year 2004, which represents 12% out of the total power generated in the entire Arab countries. It is important to note that this percentage is going to decrease in the future, as power generated from other power sources is on the increase. When if comes to Iraq, the percentage of hydro-electric power produced is considered very large, especially in the year 2004 when it reached 24.2% which is the highest in all Arab countries, except Sudan, where the percentage reached 29.5% as shown in table No (5). Here, we would like to underline the future plans of the Ministry of Water Resources, which include the addition of another 2924 MW of hydro-electric capacity, after the completion of a number of new dams, as shown in table No (6). According to what we have mentioned, the current power production, added to the future planned power is 5146 MW. This will contribute to the achievement of a proportional increase in the generation of electricity at waterfalls, with its known positive affects on the economical, social and environmental aspects of electricity generation, in addition to being a renewable energy source, which can be sustained over time. It is my hope that this paper has provided a useful overview of the world of energy and the future for renewable energy in particular. In addition, I hope my comments on the energy supply situation in Iraq and plans for the future have been of benefit. 2. They are environmentally friendly, with zero or minimum harmful emissions to the atmosphere. Finally, the reality of the situation is that all of the energy sources mentioned in this paper have a place in this world. They all need to be embraced and employed in the future if the security of supply is to be achieved and maintained. It is not a matter of choosing one energy source over the other. There is a need to select an appropriate mix and to create a suitable portfolio of energy supplies, based upon the particular circumstances and conditions prevailing in the different parts of the world. This is hugely important, if we are to deliver successful and sustainable energy supplies to the world. 1. 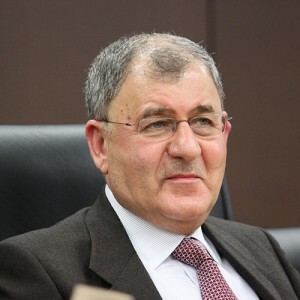 The re-generated power resources: The World and Arab Technical and Economical Development / Dr. Hisham Al-Khateeb – the Honoree Vice President / World Energy Council. 2. Income of Water Resources Projects to Power/ The Relation and Media Center. Power by Kilowatt = (the water density*height of water column*drainage) / 0.85 power by megawatts for a number of years = average of power by kilowatts / hour*24 hours*30 days*12 months*No of years. 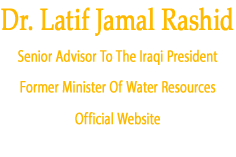 Dr. Rashid is Current Senior Advisor To the President of iraq he is the Former Minister of Water Resources, and is one of the longest Serving Minister in iraq since 2003. During the most Critical period in the nation's history.